Ounce Gin 'Signature' is a union of mindfully selected botanicals. Orange, Vanilla and Cardamom invigorate a traditional base of Juniper, Coriander Seed and Angelica Root to yield a characterful dry gin. Ruby Bitter is our take on an Amaro. Consisting of 12 interwoven botanicals creating a complex bitter-sweet balance. Ruby Red Grapefruit, Gentian, Rhubarb and Ginseng harmonise to offer an earthy citrus driven palate. Ideal as an aperitif or digestif, we suggest a 'Negroni' or a 'Sommelier's Breakfast'. When we made the decision to create Gin, foremost in our minds was how would our Gin be served. The ubiquitous Gin and Tonic is a simple delicious drink drunk by all. And it is in the G&T that we wanted Ounce Gin 'Signature' to shine. From this we reverse engineered Ounce Gin 'signature' to stand out in the most simple format. We wanted to create a gin that was perfect with a wheel of orange as the garnish. Vanilla and Cardamom support and intermingle with Orange and Ruby Red Grapefruit to create a luscious and extremely moreish G&T. The Negroni is an all time favourite of the IMD team, right up the top of the list of human achievements, three ingredients, equal measures, so easy, so tasty. This was the second drink that we wanted to ensure that our Ounce Gin 'Signature' was the perfect match. The G&T we suggest for Ounce Gin 'Bold' is something a little unusual but still should be readily available in your favourite bar or at home. We have built Juniper forward, herbal, savoury style that pairs perfectly with the addition of a green olive. If you're not an olive fan, don't worry, try garnishing with a sprig of thyme or simply a slice of lemon. The Martini is a contentious drink, it can be made a myriad of different ways and each person should find the way they like it best. That being said the best Martini is one made like this. The Ruby and soda is in classic aperitif style. Flavourful, salivating, and refreshing. Preparing for a meal is serious business. Kick your gastronomic delights off properly with one of these. The step up from The Ruby and Soda. The Americano represents essentially the Ruby and Soda with the addition of Sweet Vermouth. The Sommelier's Breakfast is a wonderful digestif, half Ruby Bitter and half Espresso Coffee. As simple as that. The perfect after dinner treat, or as the name seems to suggest the perfect hair of the dog. 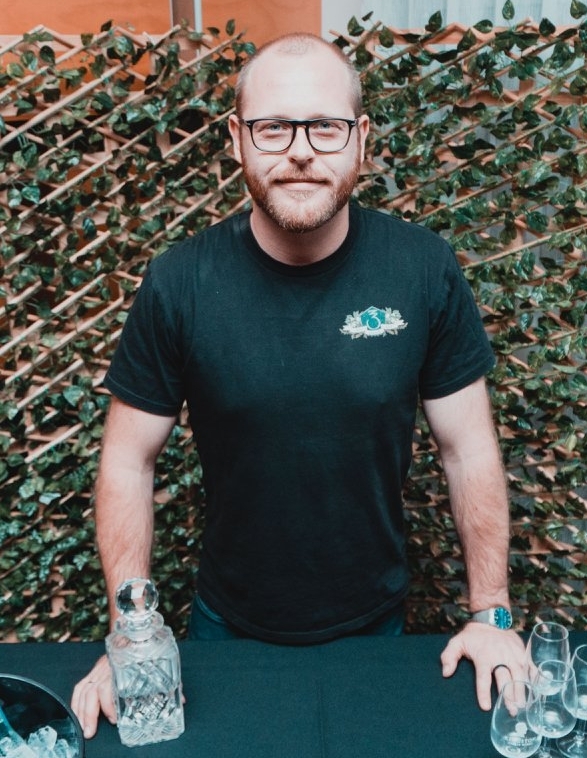 The team behind Imperial Measure Distilling, Chris Jones and David Danby, met whilst working together in the hospitality industry at Adelaide's famed imbibing institution 'The Apothecary 1878'. During this time working together they spent the better part of their lives either behind, in front or on top of bars, all whilst chipping away at the the concept of opening a distillery. Imperial Measures Distilling was officially established in 2014 and the ball started rolling. After many a late night chat, many a knock off and many an extended phone call it all culminated in an opportunity to do some full scale distillation with our friends at Applewood Distillery. We are now distilling in our own premises in Thebarton, Adelaide and working on opening our 'Distillery Bar' soon.